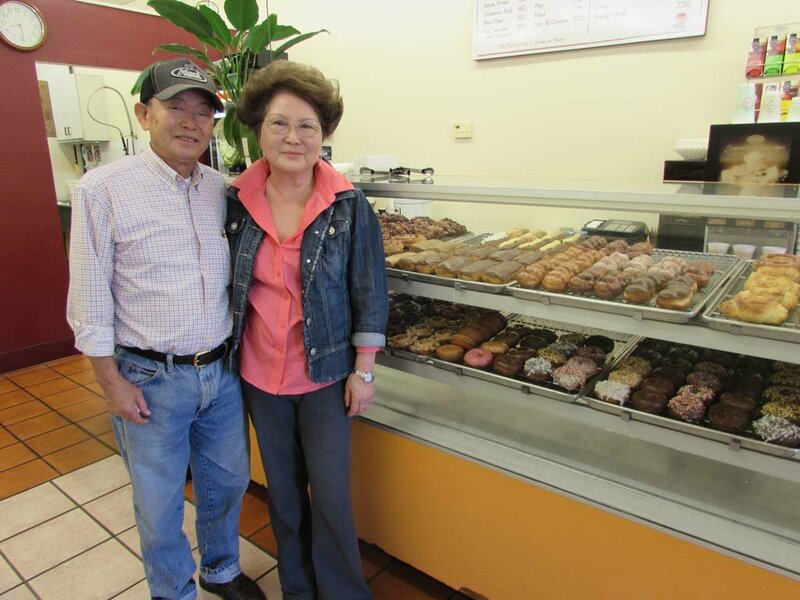 CARLSBAD — When Grace and Harry Kim opened The Donut Fair in 1977 patrons could get a donut for 18 cents. Other than the prices, not much has changed inside the donut shop in the Vons shopping center across from the Plaza Camino Real mall. The wood grain interior of the 1970’s was updated and brightened but the donut recipes have stayed the same, as have the customers. “It’s been the same people coming in getting the same kind of donut,” Grace said. The couple is retiring next month and will be closing the shop as well. They said they’ll miss the customers the most. Before Bud Lewis became Carlsbad’s longest serving mayor, he frequented The Donut Fair. “He was a talker,” Grace remembered fondly. The couple raised three children of their own and has watched the city change around them. “It used to be a sleepy retirement community,” Harry said and everything was dark after 6 p.m. The Donut Fair started as a way to give Grace something to do after she left her job with an airline because she and Harry relocated to San Diego from L.A. for his engineering job with NCR. Harry had suggested a travel agency but Grace said there wasn’t money in it. Their neighbor owned a donut shop and Grace spent six months working at one learning the trade of baking and being behind the counter. “If you don’t know how to bake then you work for the baker,” she said. When they had children, they hired a baker who is still a part of their lives. The donut store served as a community meeting spot, where people would come daily for their coffee and donuts and chat with surrounding neighbors. Now, the Kims said the lifestyle isn’t as easy-going as it once was and younger patrons are often in a rush. “Lately, people come in, get their donuts and leave,” Grace said. The surrounding area has grown since the Kims settled in the ‘70s. Plaza Camino Real, which is across the street used to be just a JC Penny store and a Woolworths. 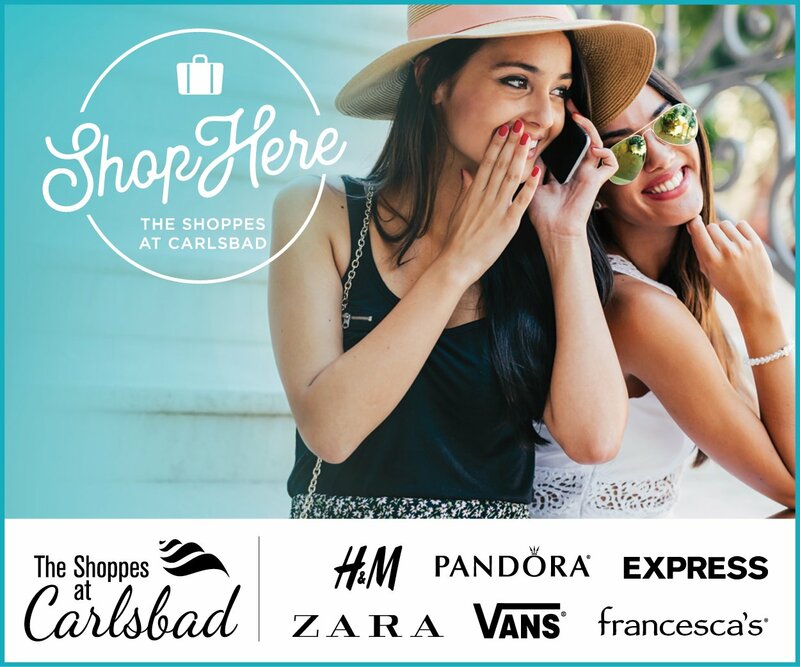 It’s now undergoing a $300 million renovation and is being rebranded Westfield Carlsbad. While it’s changed tremendously, they said one thing has remained the same. “Carlsbad people are so proud to be Carlsbad people,” Grace said. After 38 years, the couple said it’s time to retire. They don’t plan on selling the store because they don’t want the responsibility of a five-year lease hanging over their head. This isn’t their first time closing a shop. They used to own The Yogurt Fair, in a nearby shopping center but closed it because they said it wasn’t worth the risk. It operated at night and usually had a teenager behind the counter, which made it a target for a robbery one night. There was also another donut store in Vista they owned but closed it as well, even though there were interested buyers. The biggest surprise for the couple was that their Carlsbad store lasted so long. Their grandchildren will miss the donuts and the store but Harry said it’s time. “All good things must come to an end,” he said. They plan to close after Memorial Day weekend.